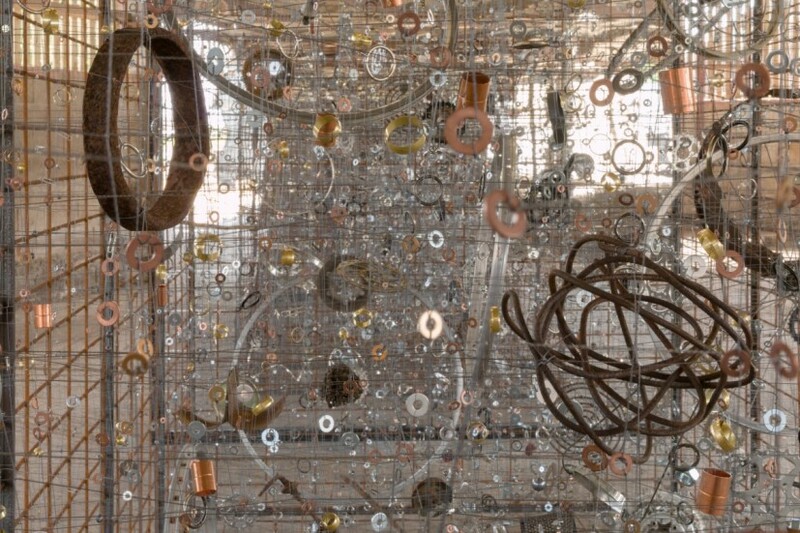 ‘One Billion Objects in Space’ was a site-specific temporary sculpture by Tania Kovats developed through the artist’s research and collaboration with the University of Cambridge’s Institute of Astronomy. The work was inspired in particular by the Institute’s work on the GAIA mission which aims to chart a three-dimensional map of the Milky Way. 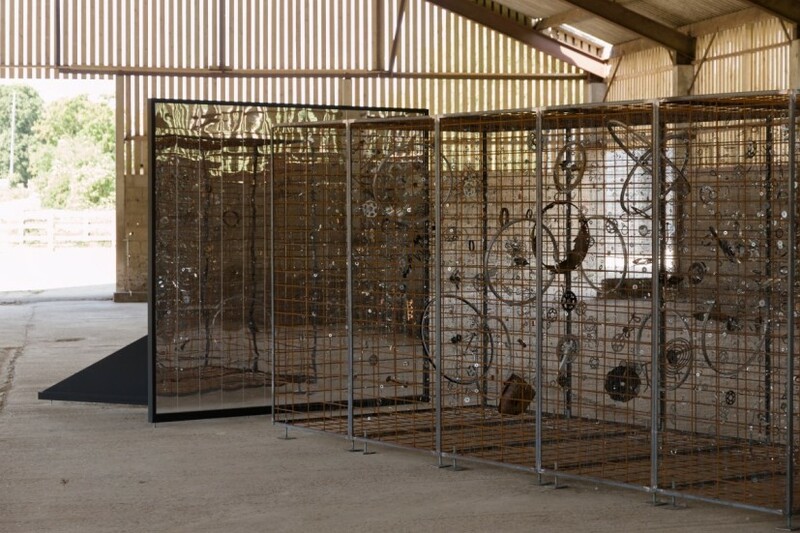 This site-specific sculpture was located in an agricultural barn at Gravel Hill Farm opposite the new offices of the North West Cambridge Development. In ‘One Billion Objects in Space’ Kovats mapped and represented outer space in a sculptural context. 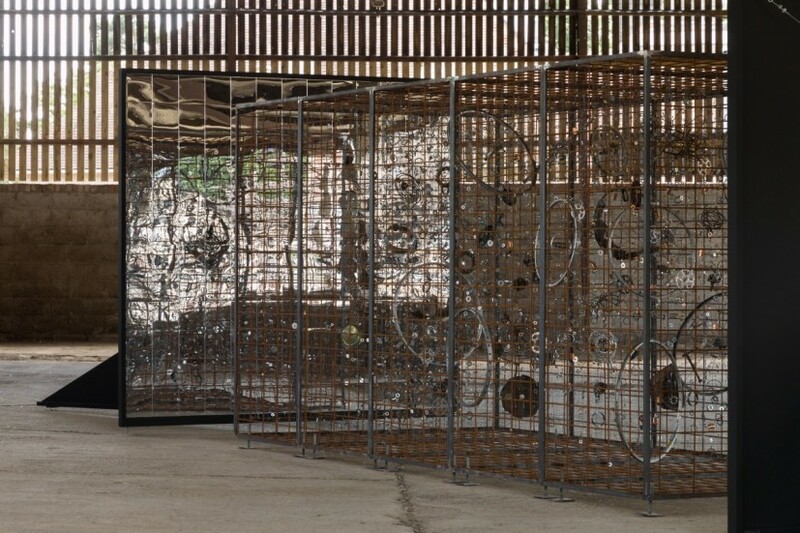 Using metal donated by local communities of Cambridge she constructed an installation that represented a sculptural universe. The work engaged with the two dynamics of expansion and contraction that are present in the universe, inviting us to reflect on big numbers and the complexities of mapping the universe.